Happy Happy Birthday to Althea ! 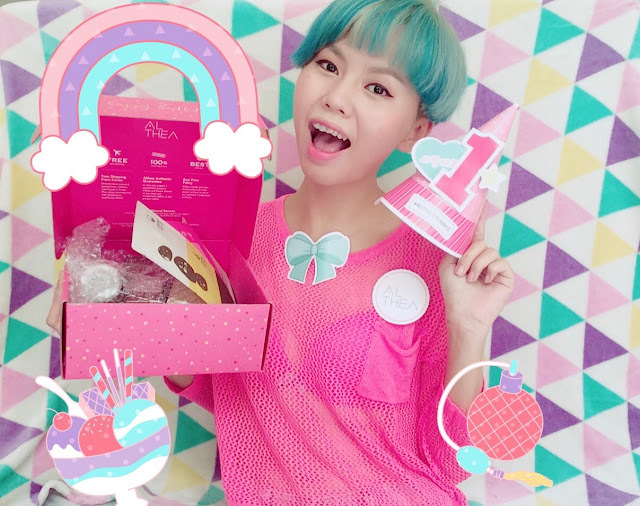 It's Althea 1st Birthday today and I'm so happy I'm able to be one of the beauty blogger who gets to celebrate with Althea and share with you all Althea's Birthday Celebration treats that's coming your way! If you're a huge fan of Korean beauty and makeup products, instead of asking friends who traveled to Korea and bring'em back to you (which might cause some troubles to both sides), why don't you log on to Althea's website and order it on your own and get parcel specially delivered to your doorstep all the way from Korea! 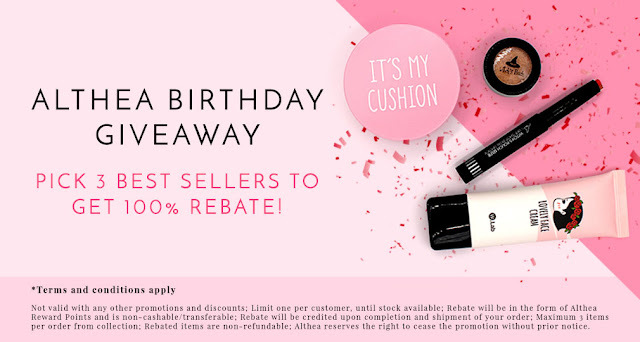 Products listed on Althea's website are 100% authentic and some are cheaper than the retail price because middle man eliminated and working with brands directly got Althea some perks when purchasing products! Can't resist the good deals I've ordered some beauty products and I had so much decorating my own Althea party kit! Man I really do love all these art and craft stuff! My purchase this round, will blog reviews about these next time! Let's go join Althea's Birthday Hat Party! 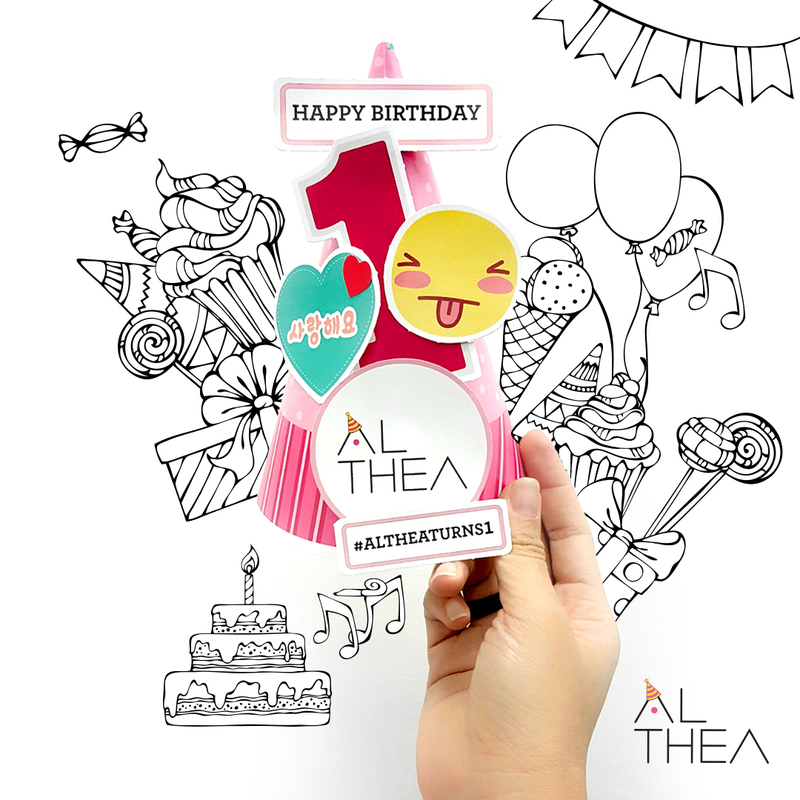 Once again, Happy Birthday Althea! 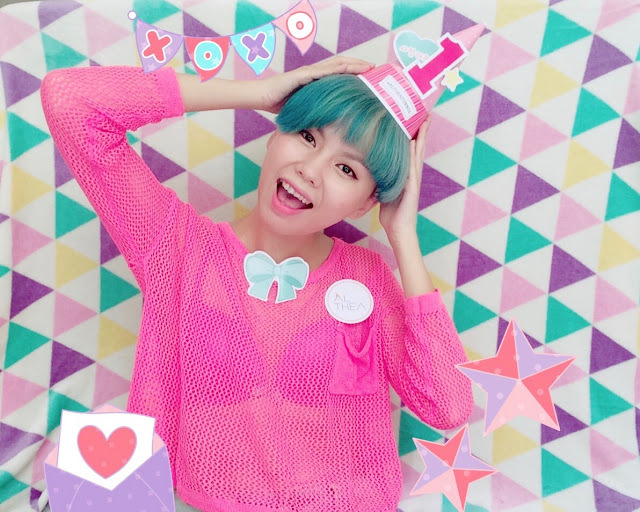 Thank you for bringing the joy of receiving parcels and cheap Korean beauty products to us! Wishing you many more happy years to come!